The service centers will be located in Chicago, Northern California, Southern California, New York and Florida, according to a Daryl Siry, vice president of marketing. Each of the centers will have a couple of the cars in different colors, displays on the technology used in the vehicles, technicians and, of course, cheery, helpful salespeople ready to take that cashier’s check. 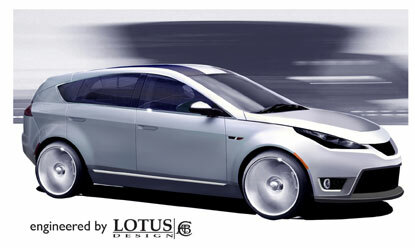 More will follow, Siry added, largely because the company will start producing a line of sedans in 2009. “To do 10,000 units for Whitestar (the codename for the sedan) we need to be in a lot more places,” he said. Unlike most other car manufacturers, Tesla will not sell its cars through independent dealers. Instead, it will sell them through its Web site and company-owned dealership/service centers. The thinking is that selling, understanding and servicing an electric car is a different skill and not one that most traditional dealerships possess. The two-seater roadster sells for $92,000 and will likely mostly be sold to a small segment of the population. In 2009, however, the company plans to come out with two four-door sedans that will sell in the $50,000 range that it will build in a plant in New Mexico. Rechargeable lithium batteries have been used in laptop computers and mobile phones since the early 1990s. 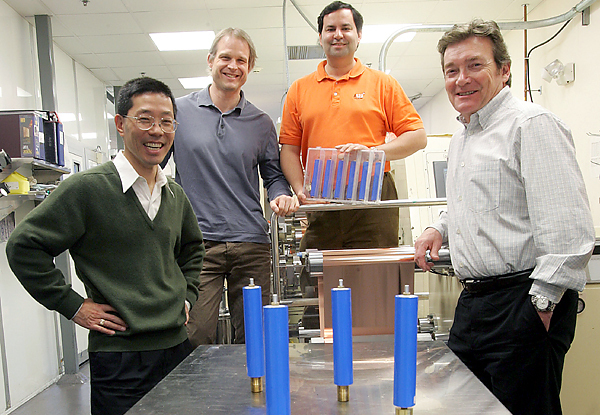 (Their common name, â€œlithium ion batteries,â€ is a tautology, since all batteries conduct electric current by allowing the passage of ions between two electrodes.) But despite their lightness, rechargeable lithium batteries â€” which often use a compound of highly reactive cobalt oxide â€” have hitherto been thought impractical for transportation because they are insufficiently powerful and might, if pierced, jarred or overheated, explode or burst into flames. This is a European creation, designed by Honda R&D Europe in Germany. The powertrain is a Honda IMA 4-cylinder petrol/electric hybrid system driving through a CVT transmission. The Honda “H” sits in front of an aerodynamic grill and tightly crafted body (check how close the wheelarches are to the low rolling resistance 165/60 section tires on 20-inch rims). And notice the lack of rear view mirrors? Rear-facing digital cameras are there to cover your backing-up needs. EVE is based on a Proton Gen.2 with a 1.6L gasoline engine, with a start-stop system, full parallel hybrid drive and a continuously variable transmission. The CO2 emissions were cut from 172g/km to 134g/km compared to the baseline car and fuel economy went from 32.6 to 41.8 mpg.Â The start-stop system shuts off the engine when the vehicle comes to a stop and restarts it when the brake is released, to reduce emissions during idling. The hybrid system uses a 30kW, 144V motor between the engine and transmission. An extra clutch allows the regenerative braking or full electric drive, while a 144V Cobasys NiMH battery is mounted in the trunk. 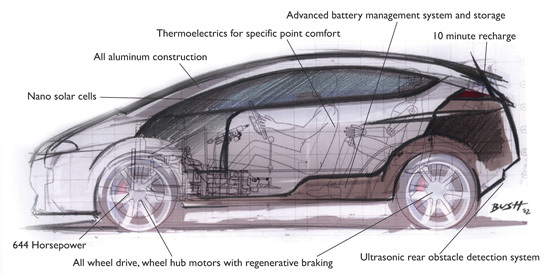 In February 2006, two Canadian companies, EBW and T-Rex , formed Silence Inc. to design and build high-performance electric vehicles. Silence Inc. has since ntegrated the EBW technology to a T-Rex chassis to build what we know today as the Silence, a 2-seat, high-performance, 100 % electric vehicle with a bold design adapted for the road. The three-wheeled Silence PT2 weighs 900lbs and is only 13 feet long, six feet wide and four feet high. With a range of 125-250 miles and a top speed of over 125 mph, this thing should be a blast to drive. More info at Silence Inc.